Friday's face was (kind of) inspired by the Great Gatsby. It's one of my favourite books. I watched the movie last night & I loved it! Back to the makeup... I've been keeping my skin au naturel. I went for a CO2 Laser Treatment on Monday so I'm letting my skin breathe & recoup. After moisturizing, I applied a light dusting of Hourglass Ambient Lighting Powder in Dim Light, and a little bit of concealer under the eyes. The eyes are fairly neutral. I used the Maybelline Color Tattoo in Barely Branded as a base, a couple shades from the Naked Palette (Buck, Sidecar & Half Baked) on the lid and a slightly winged liner using Lancome's Art Liner. I probably should have just left them bare. My allergies have been acting up this week and it doesn't take much to irritate them. 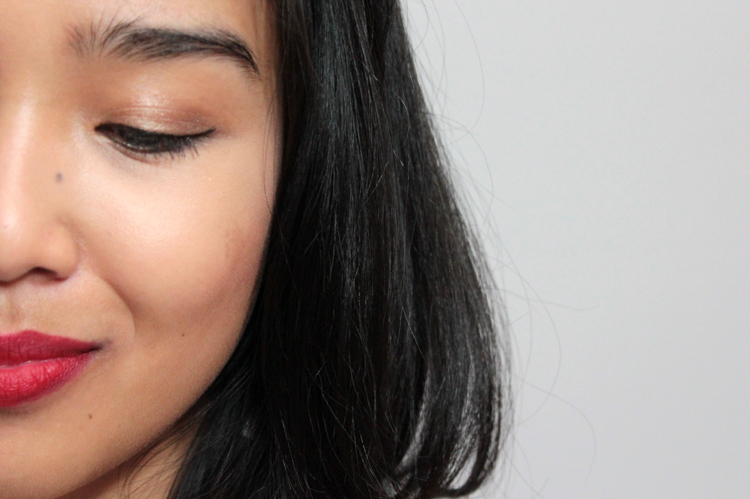 On my cheeks I lightly applied the Burberry Light Glow in No.5 Blossom. It's a beautiful coral & it very natural on. Burberry blushes in general are so silky and smooth. 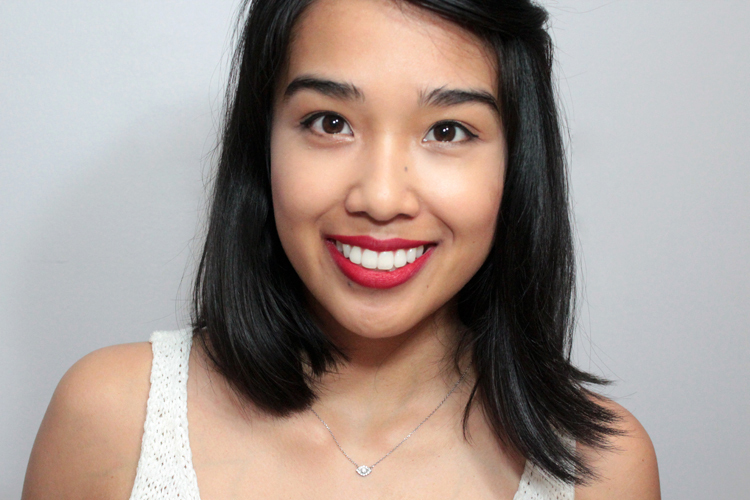 Lastly, on my lips I'm wearing the retro matte red MAC RiRi Woo, which I just reviewed here. RiRi Woo looks gorgeous on everyone I've seen wearing it and you are no exception :) I definitely will be looking to see The Great Gatsby when it releases where I live. What is a CO2 Laser Treatment? Why did you need it? super pretty!! I can't wait to see the movie! And I hear you on the allergies issue... isn't this time of year horrible for that!? I constantly feel like clawing my eyes out! You look great! 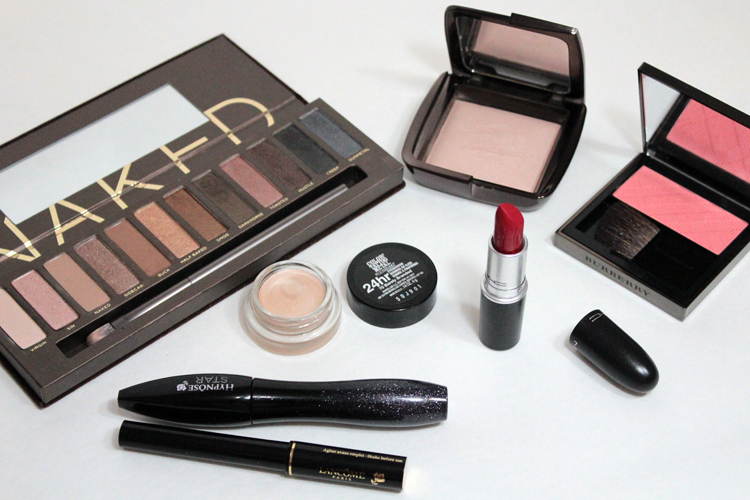 Practically a flapper girl :) Love the makeup, I love you in red lips. I really like the red lipstick on you :) Pretty! You should wear red lips more often!